Our new vertical navigation race website template is now available! 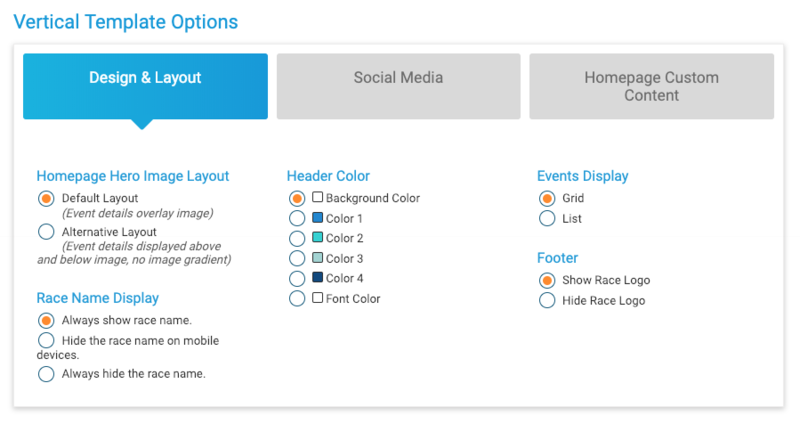 We have been working hard to design and develop new options for your race website. Let’s take a look at the highlights of the new design. Modern responsive design with a fixed vertical navigation. Our new template features flexible vertical navigation. This works really well with websites that use a large number of navigation items. The left side bar is fixed which means as you scroll through content your action buttons and navigation stay front and center. All the great options we created for the horizontal template are now available in the vertical template. 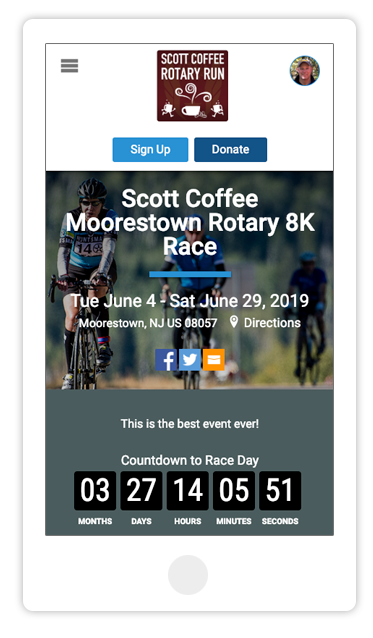 Including: Alternate homepage layout, custom header color, social media, and race countdown. 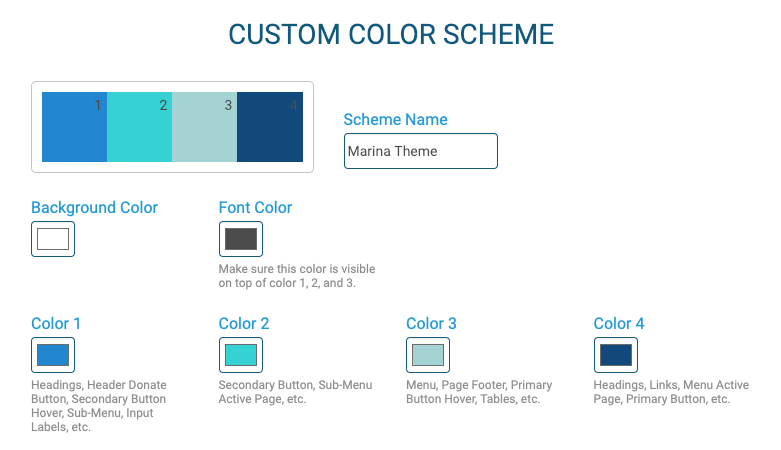 The new template is engineered to work with all our new colors or any theme you come up with. Designed for tablet and mobile devices. 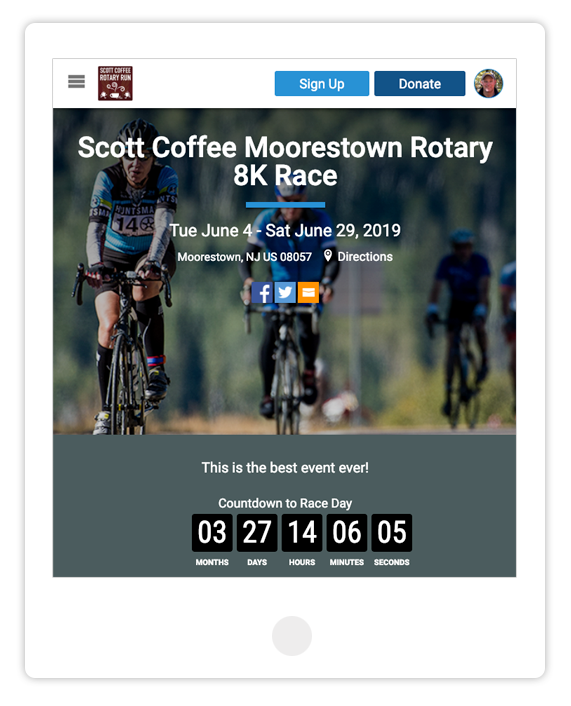 We optimized the new site for all device sizes so your participants will get the best experience on whatever device they are using.